KnowledgeDesk Help Desk transforms traditional customer support and help desk ticketing environments by empowering them to reuse and leverage knowledge articles as tools to resolve customer tickets, decreasing average time-to-resolution, decreasing organizational costs and improving customer satisfaction. Moreover, by reusing knowledge in the resolution of help desk inquiries, organizations are able to more quickly identify the root cause problems driving customer issues. KnowledgeDesk serves as your organizations single point of contact for internal or external customer support, managing incidents, service requests, answering questions or providing how-to information. 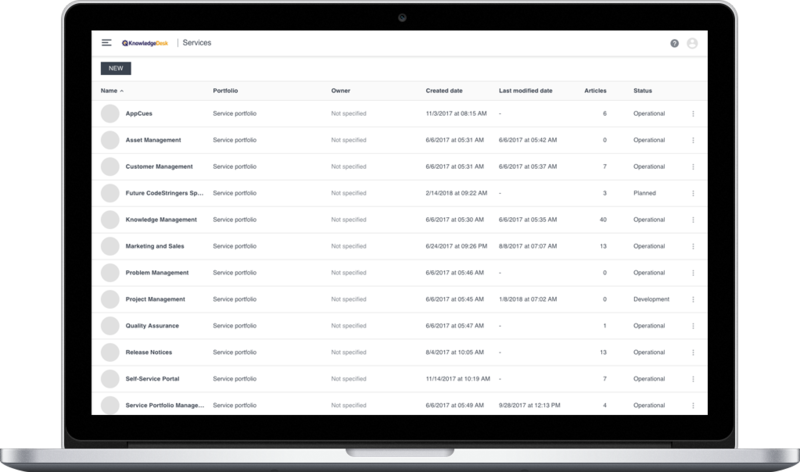 Integrated with service level management, automated ticket routing, prioritization and email notifications helps resolve each customer inquiry quickly and within your service level agreement. KnowledgeDesk goes beyond veneer support for Knowledge-Centered Service (KCS) best practices. We've built KnowledgeDesk from the ground up to be knowledge-centric. Search and use articles to create tickets and link multiple articles to tickets and related tasks as information used in the resolution of the customer's inquiry. Reduce outages, improve agent productivity, meet SLAs, and manage the complete life cycle of support tickets. Automate ticket assignments and priorities to let your support personnel focus where their attention is needed. Improve customer satisfaction by giving users the ability to submit issues, requests and questions through their preferred method of support. Your support team can capture inquiries sent by email, through a self-service portal, and by phone. Allow customers to browse and read knowledge articles, submit tickets and follow up on open tickets using a branded self-service portal. 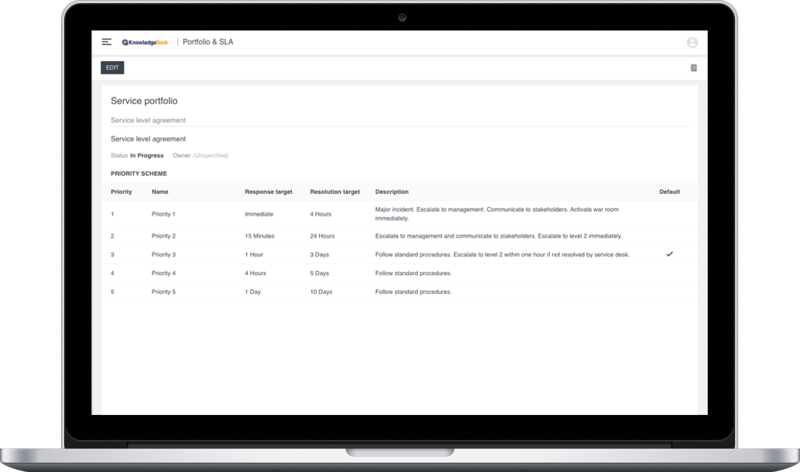 You control what capabilities are available in your portal and, using robust knowledge permissions, you determine which articles to expose directly to customers. For each customer ticket, create one or more tasks to be completed in order for the ticket to be closed. Each task has individual routing and prioritization to ensure that complex tickets have the right personnel working to address each individual issue quickly. KnowledgeDesk provides built-in automation of the assignment of ticket and their related tasks to the most appropriate personnel to ensure that each ticket and task receives the right expertise and are resolved on a timely basis. When a ticket has multiple tasks, the ticket and each task have their own assignment group routing. KnowledgeDesk ensures that your support personnel focus on tickets and tasks in the order that helps ensure that your organization meets or exceeds their service level agreements. Tickets and tasks are ordered by default in the priority in which they must be resolved based on their impact and urgency. 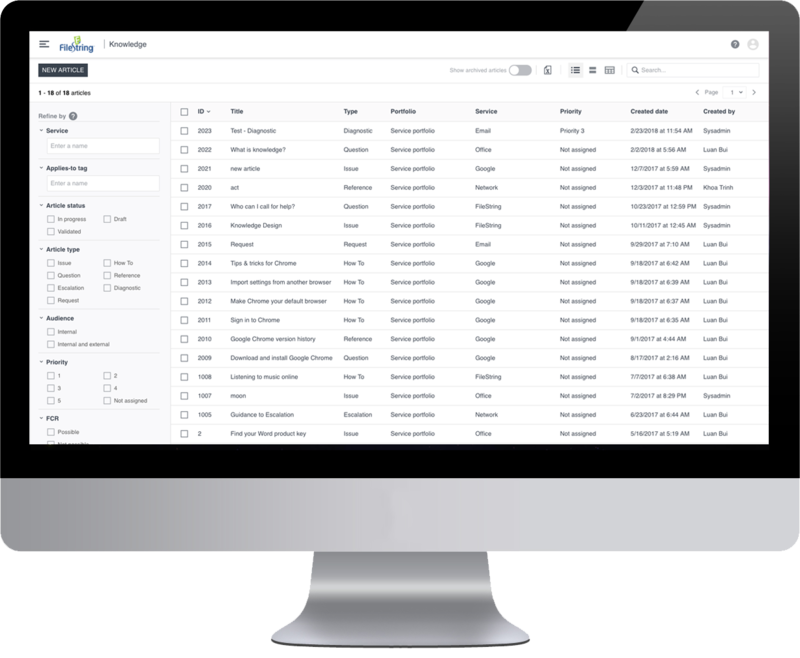 KnowledgeDesk ensures that personnel and customers up-to-date on the status of tickets and tasks by sending notifications of key events including ticket creation, resolution, and closure. Personnel can send custom messages to customers through KnowledgeDesk ensuring that the content of the message is saved in the ticket or task history.